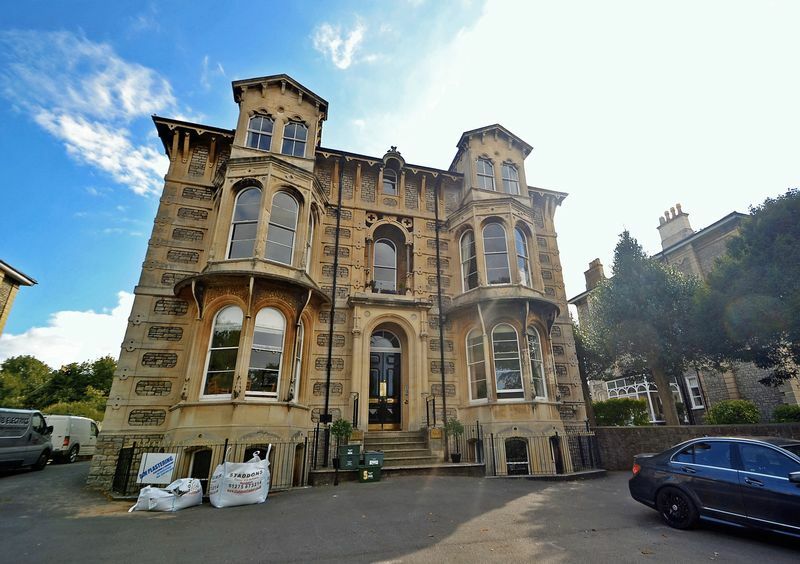 Elegant period lower ground floor apartment enjoying spacious two double bedroom accommodation - This fantastic converted apartment is possibly situated in one of the finest positions within the town. Right outside of the front door is Clevedon Seafront with its amazing scenery, historic facade and promenade walks. The apartment itself completely compliments this fantastic position. 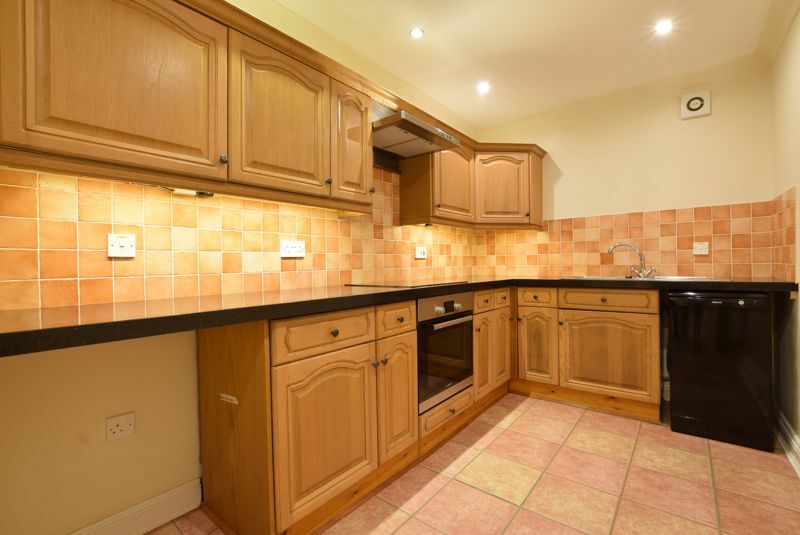 The accommodation includes a lovely large/dining room with bay window at the front of the building, a fitted kitchen and a luxury contemporary bathroom suite with shower. 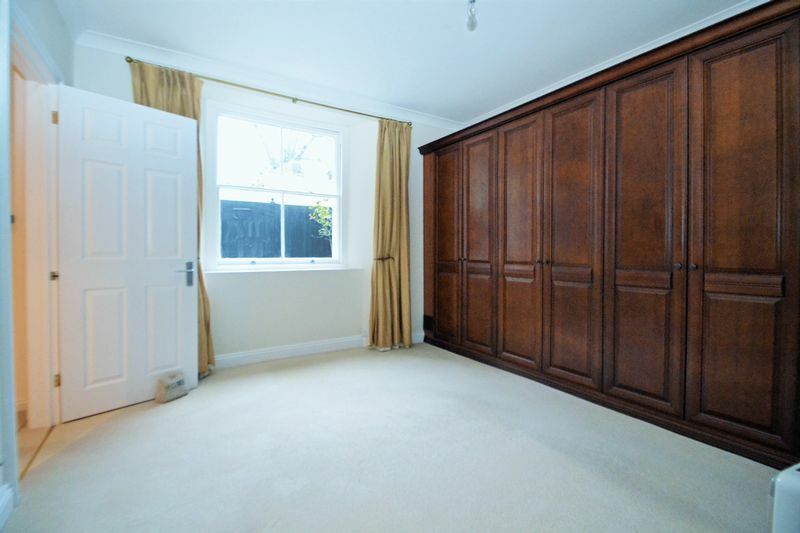 It also benefits from gas central heating, allocated off street parking and a large useful storage cupboard next to the apartment. 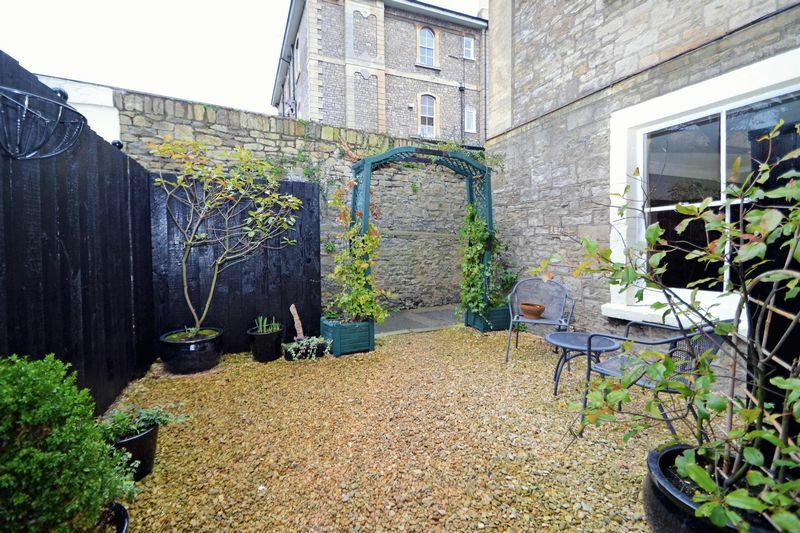 It also has use of a shared courtyard garden. 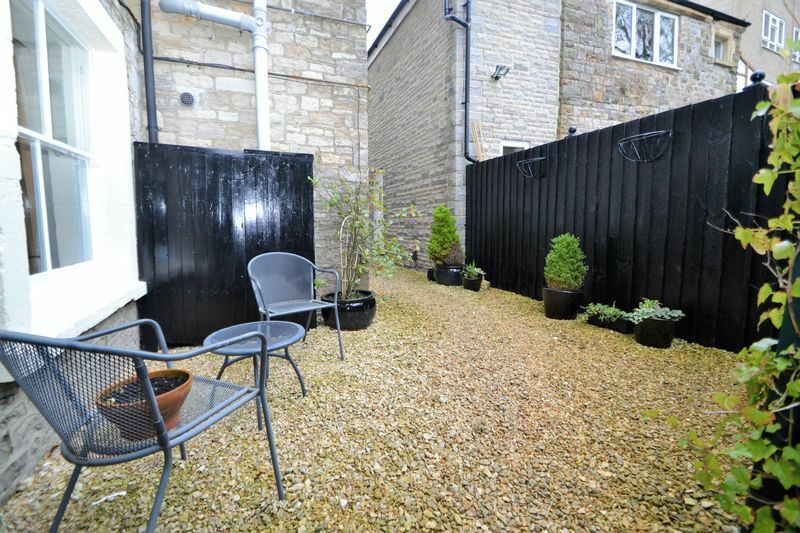 Elton Road is superbly positioned offering easy access to Clevedon Seafront and the pretty shopping area of Hill Road. 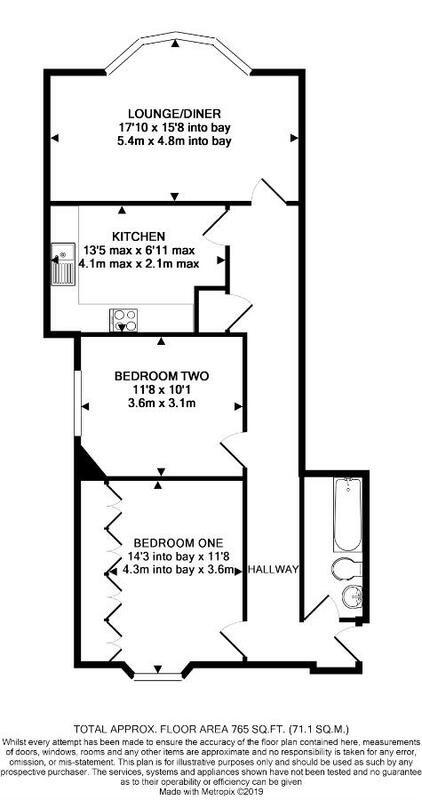 with space for washing machine, wall mounted gas boiler providing domestic hot water circulation and central heating. 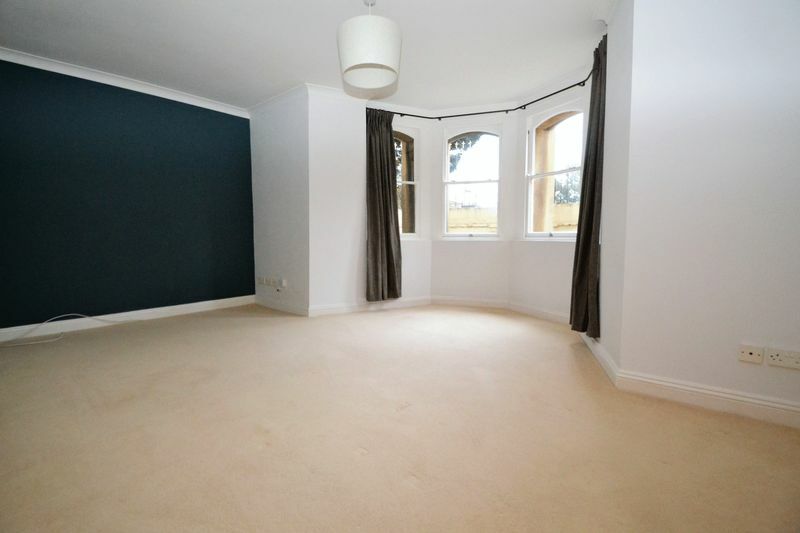 with feature sash windows to front, double radiator. fitted with a matching range of wall and base units with work surfaces over, inset stainless steel one and a half bowl sink and drainer unit with mixer tap, appliances including integrated electric oven with ceramic hob and extractor fan over, space for under counter fridge, tiled splash backs, inset spotlighting, radiator, tiled flooring. 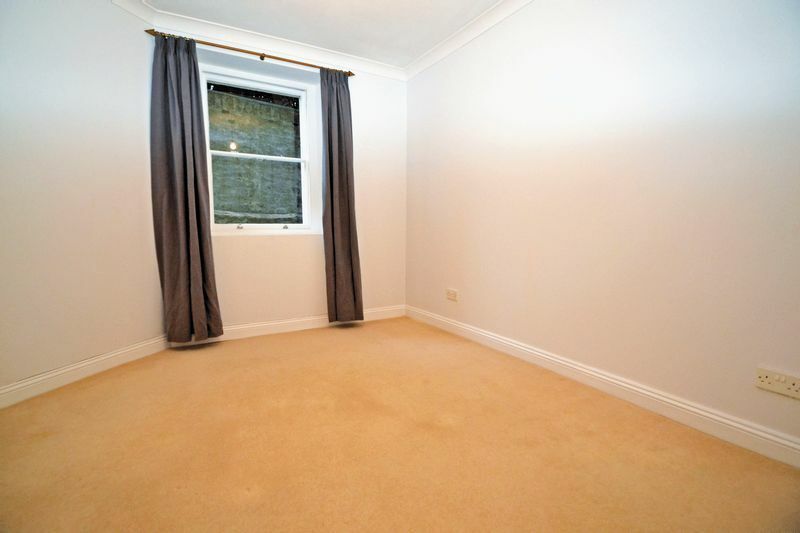 with sash windows to rear, radiator, range of fitted wardrobes. 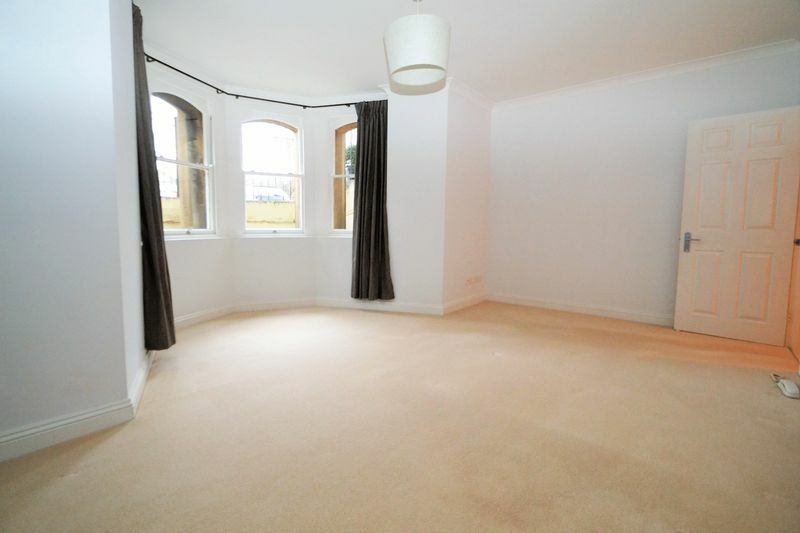 with sash window to side, radiator. 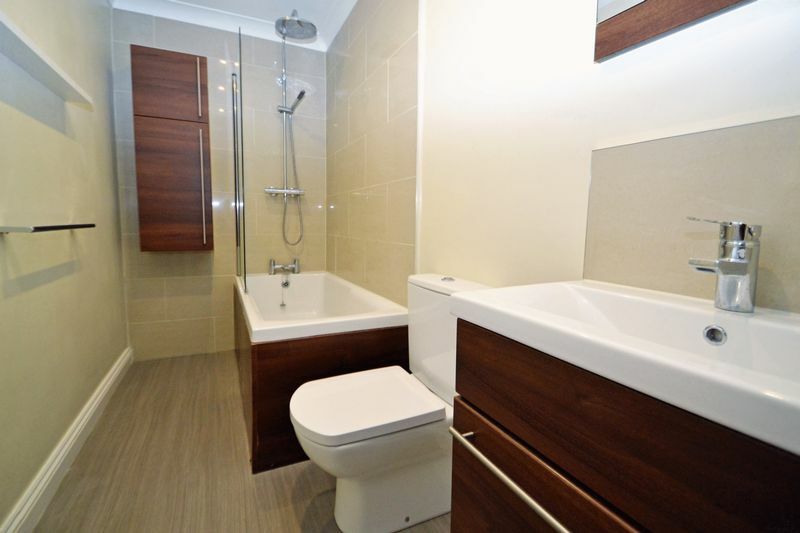 with white suite comprising panelled bath with mixer shower and hand held shower attachment over and glazed shower screen, low level wc, wall mounted wash hand basin, radiator, inset spotlighting, extractor fan, part tiled surrounds. Shared use, laid to chippings.